Fuuka is a relatively new anime that is part of Crunchyroll’s Winter Simulcast lineup. You can watch Fuuka for free on Crunchyroll here. Fuuka is very similar to other band slice of life anime such as Beck Mongolian Chop Squad or Nana. 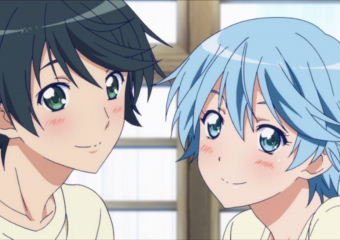 If you like either of these anime, I think you’ll also enjoy Fuuka. Check out my “Early Review” for episodes 1 through 4 of Fuuka below, and catch Episode 5 on Crunchyroll Friday at 11:00am EST.